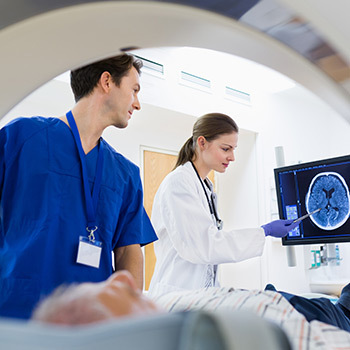 Like most equipment, PET and CT imaging systems are expensive, so you need to determine the best, most cost-effective approach to providing this service to your patients. When evaluating options to purchase an imaging system, ask yourself whether your facility is able to afford the capital costs of this equipment. And if so, will you be able to recoup the capital outlay in a reasonable time period? Beyond the obvious costs of the cameras, you’ll also need to factor in the additional expenditures required to house the equipment. These include the cost of the staff to operate and manage the equipment. Consider the cost of the service contracts that will help keep the equipment operating accurately, and the cost of the necessary sundry pharmaceuticals. A second option is utilizing a mobile imaging service. You can compare the rates for renting the equipment and hiring the service, which includes staffing, management, equipment servicing, and all require supplies. Space is another factor that requires consideration. Does your facility have the space needed for in-house equipment? If you choose to purchase an imaging system, what’s the cost of the real estate you’re allocating to house the equipment? Be sure to evaluate whether it’s the highest and best use for the space. If your facility is “landlocked,” a mobile service that can occupy parking lot space might be more practical. The decision to purchase or rent a CT or PET camera depends heavily on testing volume; if there are too few patients it will cost the hospital a tremendous amount of money. If there is any question concerning volume, using a mobile imaging service is a way to better match the supply with the demand. It will allow your practice to offer an important service to your patients while eliminating the long-term commitment and responsibility of making a large investment. Mobile imaging can be provided on a long-term or short-term basis with limited or extended operating hours to accommodate the needs of your patients. Committing to the purchase of in-house CT or PET equipment can be a big decision for a smaller hospital or medical practice. 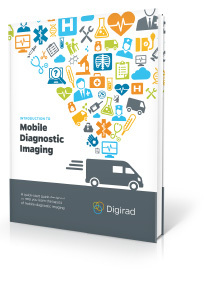 While it may be a cost-effective choice for some, a mobile imaging service is an excellent option that can help meet your need without incurring the long-term cost burden.